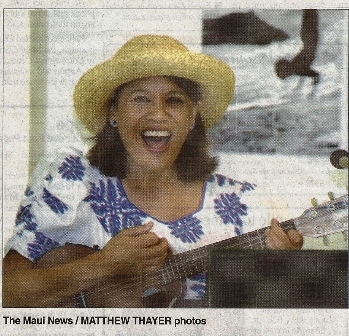 Learn about Hawai'i's royalty and their legacies, and then learn to sing related Hawaiian songs. 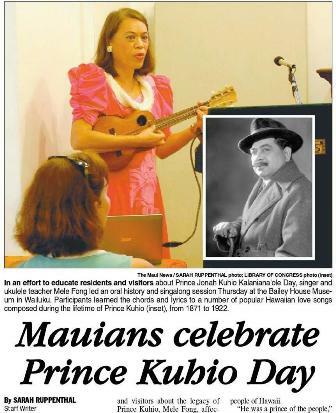 Photo by The Maui News on the front page with accompanying 2-page story about the Prince Kuhio Day program on March 26, 2015, published March 27, 2015. Read the blog review, and/or go straight to open the front page and open the inside cover page to read all about it. 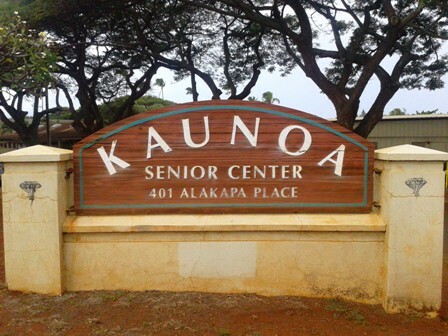 Mele is a member of the 'Ahahui Ka'ahumanu, a royal society of Native Hawaiian women honoring Queen Ka'ahumanu. 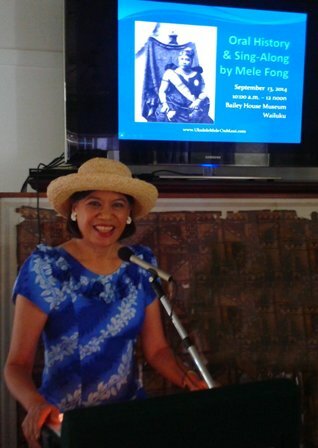 Mele has expanded upon 5-minute oral history talks given at general membership monthly meetings into 1-hour plus PowerPoint presentations given in a classroom setting. These classes were offered at the Bailey House Museum in 2014-2015 and continue to be offered at our local senior center. Wednesday, January 31. Lili'uokalani, Hawaii's Last Queen. (blog review). Thursday, October 5. Na Lani Eha - The Four Royals. (blog review).